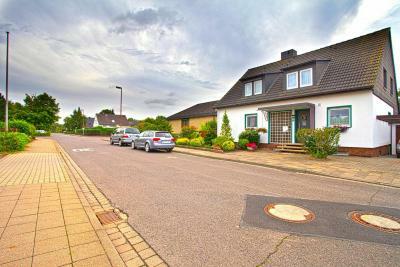 Privatapartment Sarstedt Mitte (3651) is located in Sarstedt. 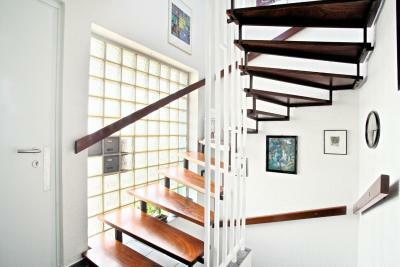 The family stay is in an area where guests can engage in activities such as cycling and hiking. 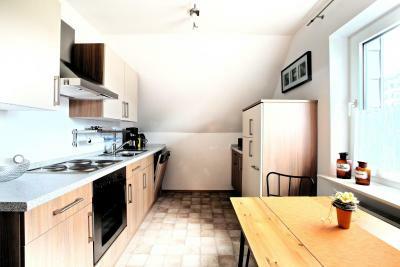 The family stay includes a kitchen with a fridge and a stovetop, as well as a coffee machine. The family stay also provides a bathroom with a shower. Hannover is 13 miles from the family stay. 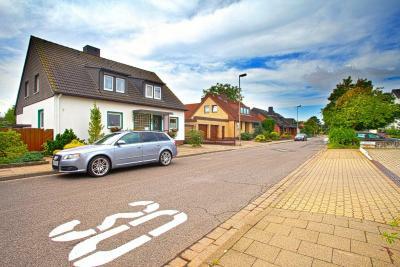 The nearest airport is Langenhagen Airport, 26 miles from the property. 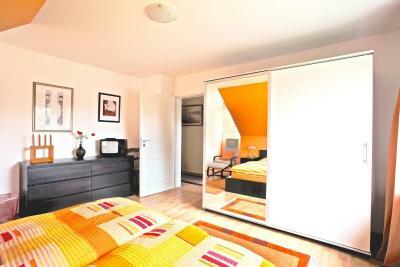 When would you like to stay at Privatapartment Sarstedt Mitte (3651)? 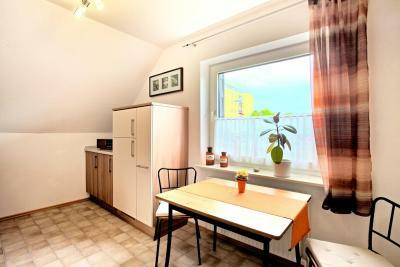 This studio has a dining area, kitchenware and tea/coffee maker. 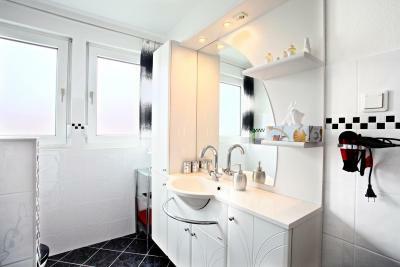 House Rules Privatapartment Sarstedt Mitte (3651) takes special requests – add in the next step! Privatapartment Sarstedt Mitte (3651) accepts these cards and reserves the right to temporarily hold an amount prior to arrival. Please note that this is a shared apartment. You will be sleeping in a room for yourself but sharing the apartment with the familty that lives there. 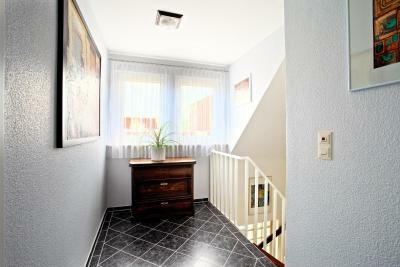 Please inform Privatapartment Sarstedt Mitte (3651) of your expected arrival time in advance. You can use the Special Requests box when booking, or contact the property directly using the contact details in your confirmation. A damage deposit of EUR 100 is required on arrival. That's about 113.02USD. This will be collected as a cash payment. You should be reimbursed on check-out. Your deposit will be refunded in full, in cash, subject to an inspection of the property. We need at least 5 reviews before we can calculate a review score. 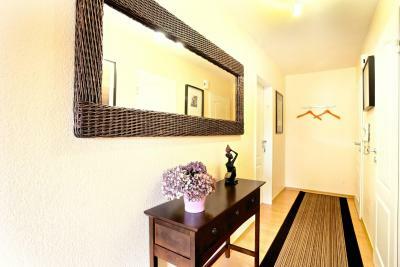 If you book and review your stay, you can help Privatapartment Sarstedt Mitte (3651) meet this goal.